When you become a coach for a volleyball team, you typically get a schedule of games for an entire season. The volleyball league that your team is on usually creates the schedule. In some leagues, coaches of the teams decide when they are going to conduct practices. In other leagues, the league lets you know when you can use the court to make sure that teams can practice for an equal amount of time. Depending on where you live and where the courts lies, nature and weather may be a big issue. The issue of the weather is not just about the courts and the games. When the weather gets bad, the roads in your area may get congested and have a lot of traffic. It means that parents may have issues driving their kids to practices. Depending on the severity of the weather conditions, you may need to cancel, delay or reschedule practices. For these reasons, you need to familiarise yourself with the rules of your league and then discuss these rules with the parents and players. 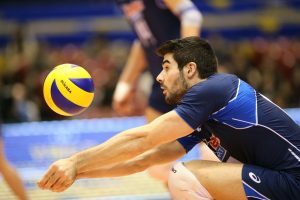 Volleyball leagues decide who is going to spend how much time on the court based on age and skill. Most recreational volleyball leagues for beginners have only one one-hour long practice during the week and one game on the weekends. They also restrict the number of practice hours to make sure that all the players are training equally. Learn if such a restriction exists in your league. Also, many leagues have pre-arranged schedules for practices because they have many teams sharing the same courts. If your league does create such a schedule, it will eliminate the issues you have while coming up with a schedule that works for your players and their parents. Because of all these rules and restrictions, every minute you spend with your team on a volleyball court is extremely valuable. This is why you should use your time wisely.